Daily Tours LTD is glad to present the Republic of Belarus and to introduce you the most outstanding places of interest and different variants of pastimes. We are committed to providing incoming clients with a diverse and comprehensive range of travel services at the most competitive rates. We offer trips for groups and individuals to practically anywhere. We also organize foreign tours for Belarusian citizens. Our extensive selection of Incoming tours caters to your needs. • Services during international sports events, festivals and concerts held in the Republic of Belarus (hotels, transport, multilingual interpreting, visa support). We will be glad to propose You the most suitable program of staying at very competitive prices and for any budget. You can contact us for any information. Belarus is a landlocked country in Eastern Europe, bordered by Russia in the north and east, Ukraine in the south, Poland in the west and Lithuania and Latvia in the north. With a complex history and rich architecture Belarus is a wonderful place to explore no matter what time of year. With a diverse geography and a passion for natural history and wildlife Belarus would be an outdoor enthusiasts' dream. Whether this is your first visit to Belarus or your fifth, come explore all it has to offer. Borders: Russia in the North and East, the Ukraine in the South, Poland in the West, Lithuania and Latvia in the North-West. Climate: Moderate continental and humid. Average temperature: -5C - 10C in winter, +18C +25C in summer. Religion: Major denominations - Orthodox and Catholic Christianity, others - Jewish, Protestant. Telephone: IDD is available at all major cities, including Minsk (172). Country code: 375. When dialing from abroad the 0 of the area code should be omitted. Internet services are also available at business centers, post offices and internet cafes. 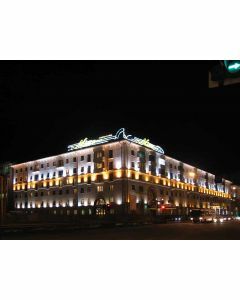 Fax services are available at all hotels in Minsk. Money: There are coins and bank-notes . Exchanging American dollars and Euro into Belarusian rubles is not a problem. Other currencies can only be exchanged at banks. Don't change currency in the streets! Credit cards: Major European and international credit cards, including American Express, Euro/MasterCard, Visa and Diners Club, are accepted in large hotels and at big shops, supermarkets and restaurants. You can cash your credit card either at banks or big hotels. Applications for visas should be made at the nearest Belarusian overseas Consulate. There is also another way to obtain the visa. 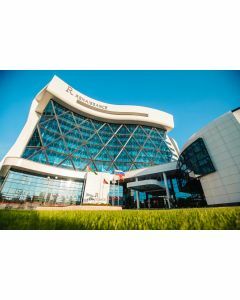 It concerns the tourists from that countries where there is no Belarusian Consular Office or if it is situated far from the temporary place of living in your country. In that case you can get visa in the international airport «MINSK-2″. To get Belarusian tourist visa in both cases You will need — a visa support letter + a national voucher from a registered Belarusian tourist company. Tourist visas are issued for a specific period of time indicated in the voucher with a confirmed hotel booking. This documents should be presented to the Consular Department in the international Airport «MINSK -2» no later than 4 days before the arrival. The tourist when receiving visa in the airport should provide a photo and fill in the Application Form and pay the Consular Fee. The consular fee is only payable in cash (in USD or Euro) at the Consular Desk of the airport. The Business visa is obtained on the basis of official invitation (the original, not a fax copy) from the inviting Belarusian institution. The Private visa — on the basis of a private invitation. and pay the Visa support. Around Belarus in 7 days!